Motorsport competitions are always a challenge for engineers. Success in a race and in a championship is very satisfying for the whole team. 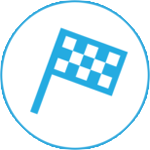 Dynamotion joins this challenge, providing tools for engineers and services to help your team win.